Householders in the United Kingdom have been told to expect a high energy bill for the autumn and winter months, according to an article published by Energy Choices. Although weather conditions during December were mild - meaning households needed to use their central heating less - the rise in energy tariffs is set to wipe out any potential savings, new research conducted by Money Supermarket has stated. 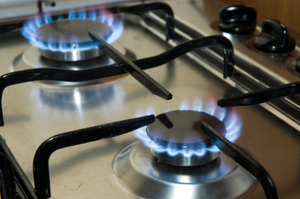 The research has forecast that customers on a standard tariff could receive a bill of around Â£514 for the winter quarter. Utilities manager for Money Supermarket, Scott Byrom, stated: "The start of the new year is an expensive time as consumers deal with a festive financial hangover - a huge energy bill will come as an additional nasty shock. "Languishing on fixed deals could spell bad news for Brits when they expire. In the worst case scenario, providers could automatically switch customers across to a more expensive tariff. Shopping around and swapping to the current market leading deal could mean an annual saving of Â£360," he added. Despite a fall in the price of gas at wholesale, the research has also indicated that more price rises could be implemented later this year. Meanwhile, the upcoming Big Energy Week is set to provide residents of the United Kingdom with advice on how to get the best possible deal at a time of rising tariffs.